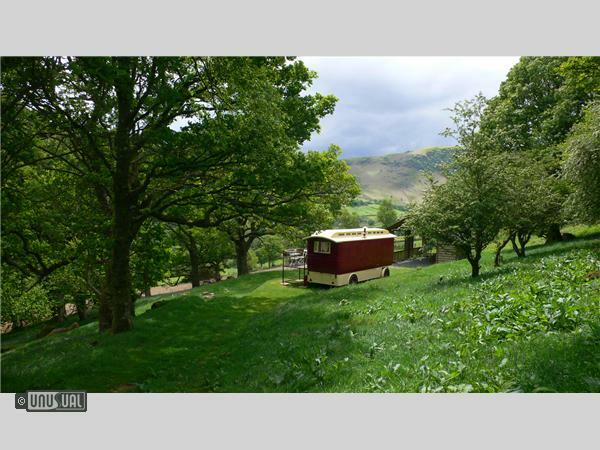 Stay in a restored 1940s Showman's Waggon and escape to the beautiful Wye Valley in mid Wales. 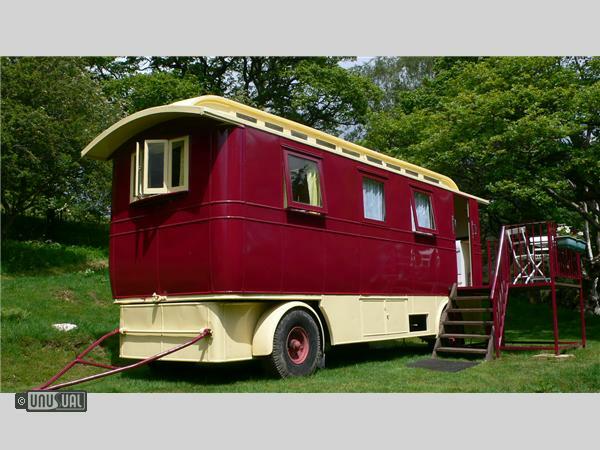 Built in the 1940s, the waggon would have been the “living van” home of a travelling showman from a circus – like a grand form of early caravan with its own kitchen, living room and bedroom. The interior is fantastic – all wood-lined with cut-glass mirrors, old lamps, a wood-burning stove, bureau and leather tub chairs. 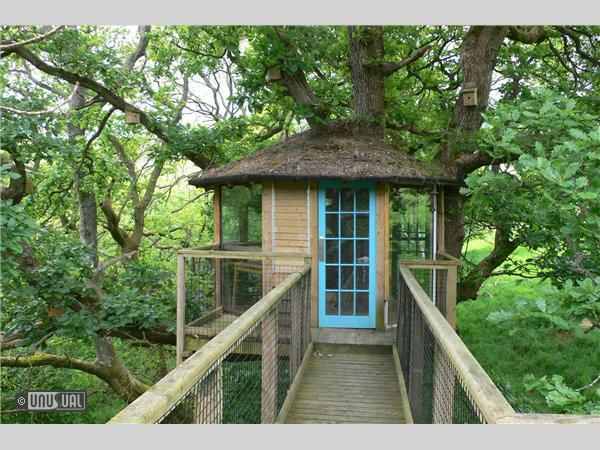 Following restoration, Under the Thatch is able to let it for holidays in its own woodland location with wonderful open views and a great sense of seclusion. The accommodation offers a compact kitchen with full-size gas cooker, fridge and sink plus a lounge. The double bed is 6'4" long but narrower than a modern standard double, a cosy nest for two. Views down the valley make getting out of bed seem worthwhile. Alongside is a hay barn for the exclusive use of guests, with a small heated shower room and toilet. The main farmhouse is a field away, offering a games room where you can play table-tennis, table-football and pool. 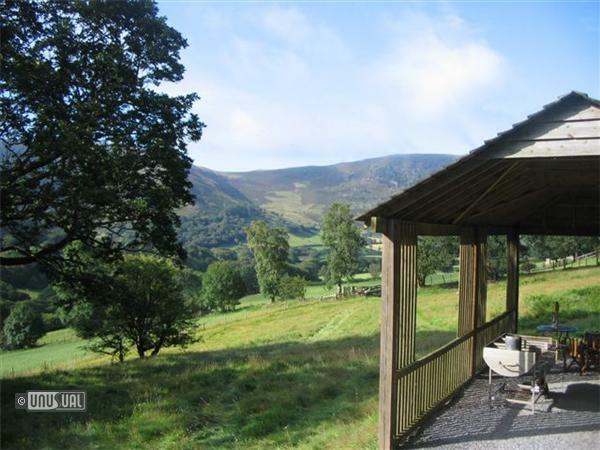 This riverside location is a chance to get close to nature in a secluded spot, with modern conveniences and the luxury of a proper bed and wood-burning stove. Black Friday Special - any two days in Mevy until the end of February - only £150 (excluding school holidays). 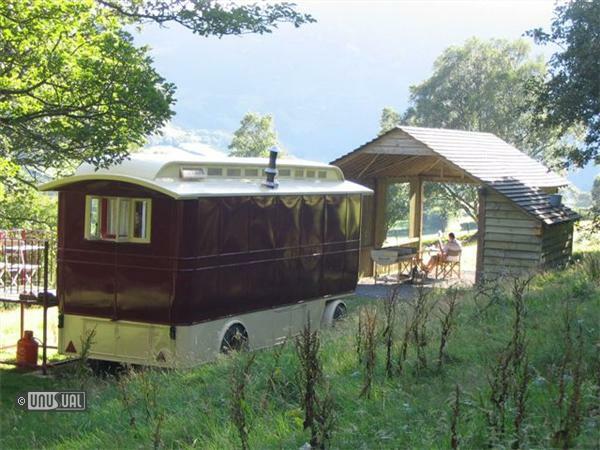 This beautiful, centrally heated plush carriage Mevy is on offer for pre and post Christmas short breaks. Join The Solent Forts team for afternoon tea aboard No Man’s Fort. Includes return boat transfers, a full tour of the historic fort, a drinks reception, followed by a sumptuous afternoon tea. Fantastic, magical waggon. 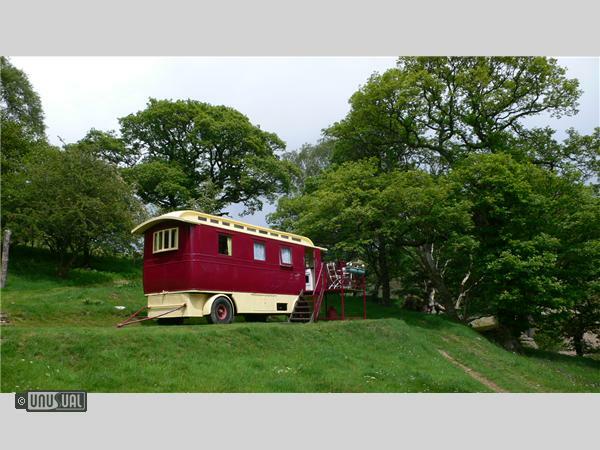 We have just spent a week in this showmans waggon and it is in the most beautiful location. Views to die for and the bed was so comfortable. What more could you want for a romantic retreat.